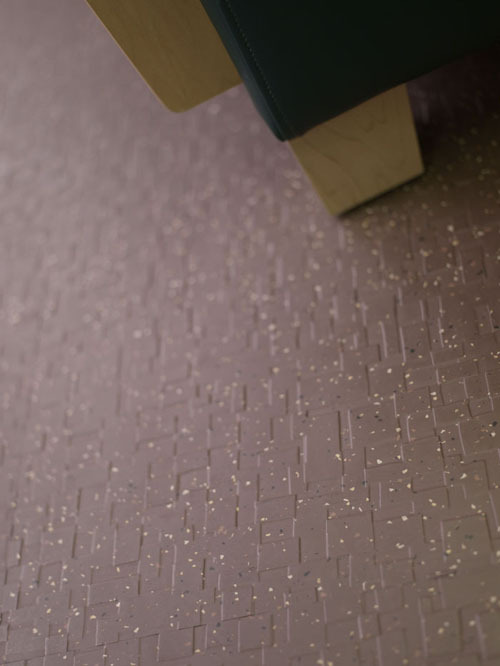 Designing rubber floor tile patterns has never been so imaginative with Circulinity, a specially designed component rubber tile system that provides limitless floor pattern options. Johnsonite provides you with the coordinated patterns and you deliver your customer with a truly unique floor design. Circulinity consists of five different patterns that work with each other or alone. Your unique blueprint can have tiles run in any direction to convey special effects through the distinctive light refraction built in to each pattern.